NetEnt doesn’t only produce high quality video slots, it also offers a top quality live casino. NetEnt was founded in 1996 and launched its first Live Casino in 2013. After the launch the live dealer games became very popular quickly. The NetEnt Live Casino is now available in many different online casinos. And not without reason! NetEnt utilizes the best technologies in order to deliver the best live dealer games online. These games are live streamed from their own studio based in Malta. From this studio NetEnt streams the best games 24/7 in HD quality. At the moment NetEnt provides games with English, German, Swedish and more speaking dealers. Open the NetEnt Live Casino now for the best live betting games including Blackjack, Roulette and Live Common Draw Blackjack. The NetEnt Live Casino is known for being the best mobile live casino. Works great in portrait or landscape mode. Complete range of Blackjack and Roulette live betting games. Available in 25 languages- and currencies. Enjoy a fully immersive 3-D Live Casino experience with embedded live streams and graphics. Tables available for small and bigger budgets. Live streams available 24 hours a day, 7 days a week! In the table below you will find reliable online casinos that offer the NetEnt Live Casino. We have tested all of these casinos and we know they are fair and secure. 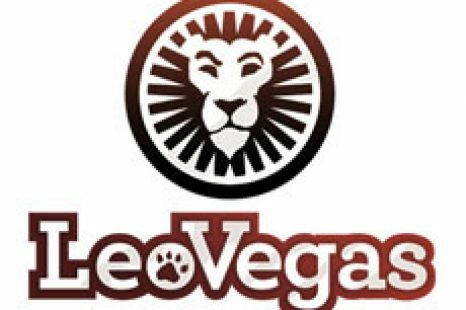 Sign up at LeoVegas in order to receive €10,- free bonus money which you can use in the live casino. Make a first deposit and collect a 100% deposit bonus up to €250,-. Besides this offer there are more casinos that offer generous bonuses and the NetEnt Live Casino. Check out the table below for all active bonus offers! When you enjoy playing roulette then the NetEnt Live Casino is the place to go. Especially when you like to play on your tablet or smartphone the NetEnt Live Casino is great to use. The NetEnt Live Roulette and all its live dealers games are fully optimized for mobile players. It offers an easy-to-use interface, streams of high quality and perfectly synchronized audio and video. Open the live casino now and play your favourite games in portrait or landscape mode. Simply toggle between the felt stream and the video stream during gameplay and place bets within seconds. It’s all possible with the NetEnt Live Roulette. In the NetEnt Live Casino you will also find various great live Blackjack games. The NetEnt Live Casino offers multiple tables with different minimum bets. Because of this there is almost always a seat free for you to play. Enjoy realtime interaction with the dealer, high streaming quality and no interruptions while playing. While playing you will always be able to check table statistics and on-screen history in order to boost your game knowledge. Place side bets while playing to increase your chance of hitting some nice winnings. 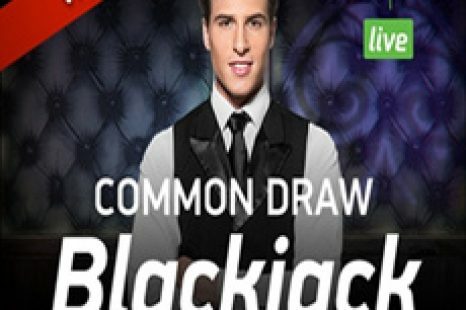 The NetEnt Live Casino also offers a unique Common Draw Blackjack Game. This game is totally unique within the industry and can be very exciting. While playing this game hundreds of players can join one and the same table. This makes the game scalable and available for more players, multiple currencies and low betting limits. NetEnt Live Blackjack and Roulette are available in multiple games modes. You can play Live Roulette from as low a €1,- per round. But you will also be able to play VIP Roulette and Automatic Roulette. Blackjack Games are also available from a low as €1,- per hand. This is only possible when playing Common Draw (more players get one hand). Hand to get cards of your own at a regular table? Then the minimum bet is €5,- per hand. If you want you can also join VIP tables with minimum bets from €50,- up to €200,-. Ready to browse through all different game modes? Then open the NetEnt Live Casino in own of the casinos we have listed in the table on top of this page! During the London Affiliate Conference (LAC) the team of BestBettingCasinos.com visited the NetEnt Live Casino stand. At the stand of NetEnt Live we could see and learn more about the technology behind the NetEnt Live Casino. Besides that we could try to spin the ball and get a picture while being filmed with the unique NetEnt Live Casino background technology. Although we like the NetEnt Live Casino we must admit the game portfolio is still a bit small. If you want to play anything else then Blackjack or Roulette the NetEnt Live Casino is not the place to be. If you want a very nice portfolio of live betting games then I recommend playing at LeoVegas. At LeoVegas you will find 100+ great live betting games by NetEnt, Evolution Gaming and Extreme Live Gaming. Besides that LeoVegas offers its own branded live betting games in the Chambre Séparée. Besides Roulette and Blackjack you will find Baccarat, Casino Hold’em, Texas Hold’em, the Live Dream Catcher and more live betting games at LeoVegas Casino. Open your free account today and start playing with a €10,- live casino bonus (No Deposit). ”The latest addition to our Live portfolio was created so we were able to provide a more immersive setting and to break down the physical constraints to create, what we call, a larger than life experience.” Henrik Fagerlund, Chief Product Officer of NetEnt. During the ICE Totally Gaming 2018 Conference in London NetEnt announced its brand new gaming solution in collaboration with Mr Green Casino. The new innovation supports a fully immersive 3-D live casino experience including embedded live streams and graphics at the touch of a single button. With this innovation live betting games become more interactive and social. This brand new betting environment is totally customizable by using NetEnt’s digitalized background technology. Multiple tables, additional cameras and angles, immersive UX and visibility of the action on other tables are just some of the technological advances integrated into this brand new NetEnt Live Casino solution. “We are constantly looking to push the boundaries of technological advances in the live casino world, and this breakthrough can help propel not only NetEnt, but operators in reaching new heights.” Henrik Fagerlund, Chief Product Officer of NetEnt. Some casinos make use of the special NetEnt Live Rewards engine. With this special feature you will be able to collect rewards while playing in the NetEnt Live Casino. In this way you can enjoy unique promotions, rewards including free spins and bonus money and a fun promotion journey. Although you can see the action happen and the dealer work you can stay fully anonymous while playing in the NetEnt Live Casino. The NetEnt Live Casino offers a limited game portfolio including Blackjack and Roulette games. Games are streamed 24 hours a day, 7 days a week, from the NetEnt studio based on the beautiful Island Malta. All games are available for low stakes, average stakes and high stages (VIP tables). Most games are available in different modes. For example; Common Draw, Immersive and VIP Tables. NetEnt Live Dealing Games offer extensive statistics in order to help you place bets on the right number and hands.